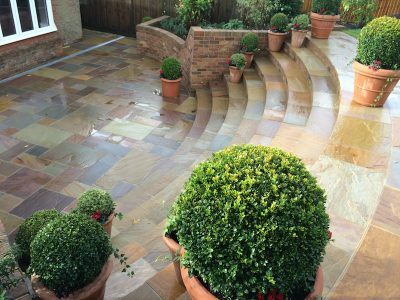 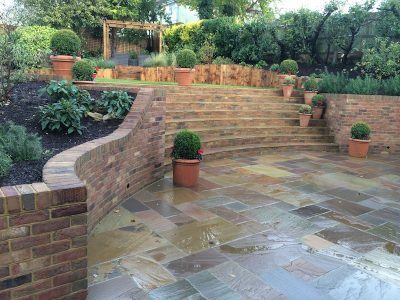 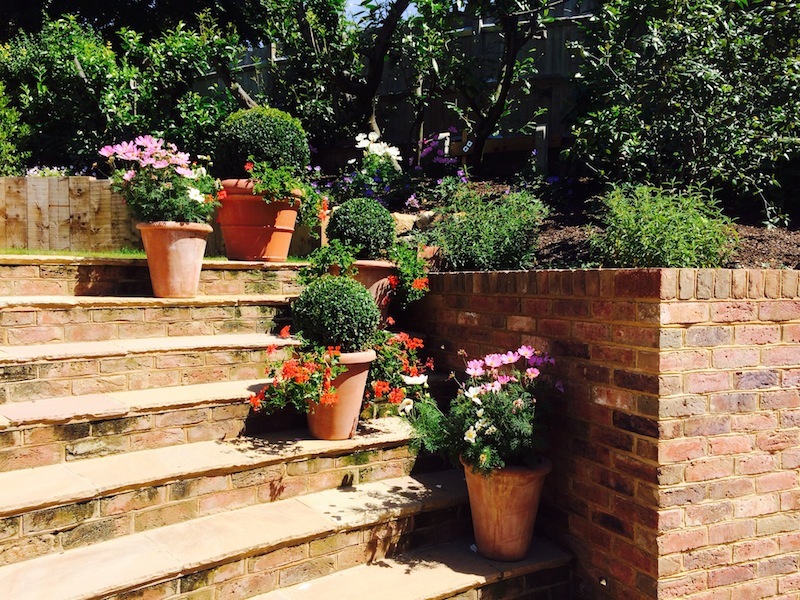 Here at a clients in Badgers Mount near Sevenoaks in Kent, we are completely redesigned their rear garden to make way for an extended terrace, curved steps and retaining walls. 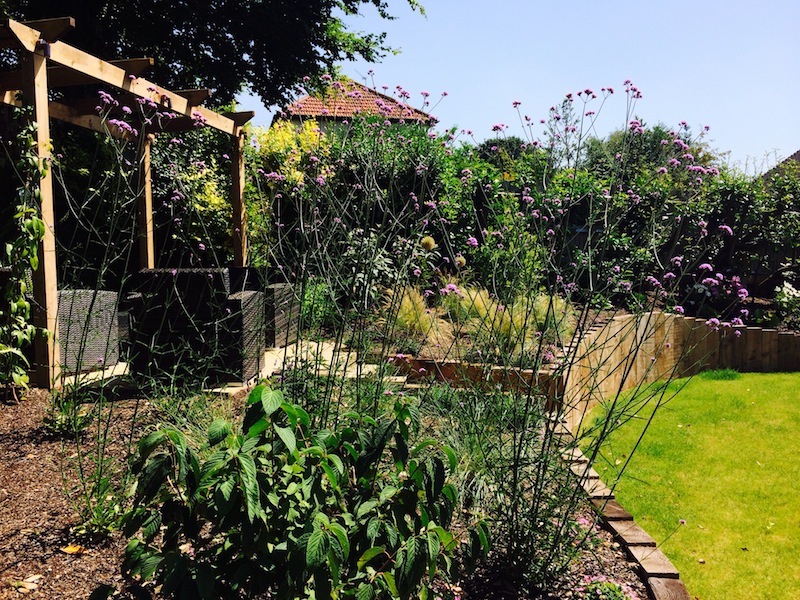 We have excavated approximately 100 tons of subsoil to make way for the build, which will give a new lease of life to their garden. 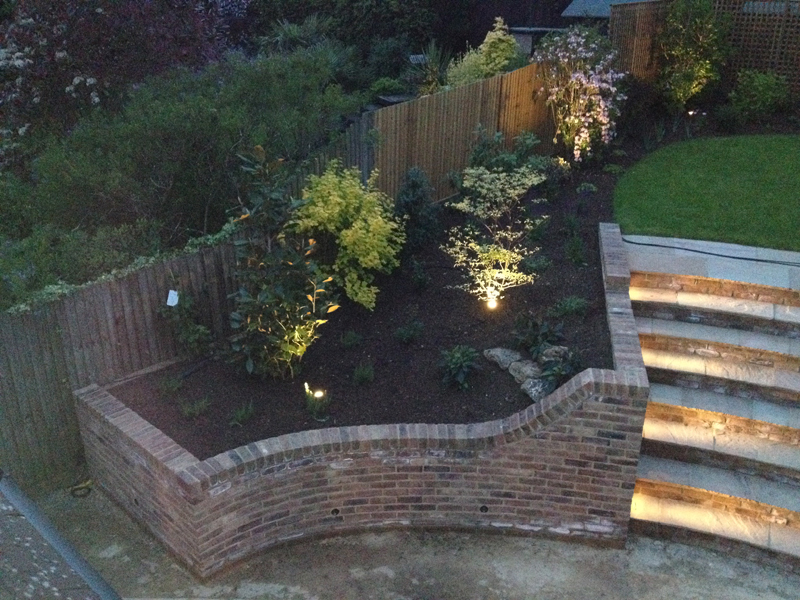 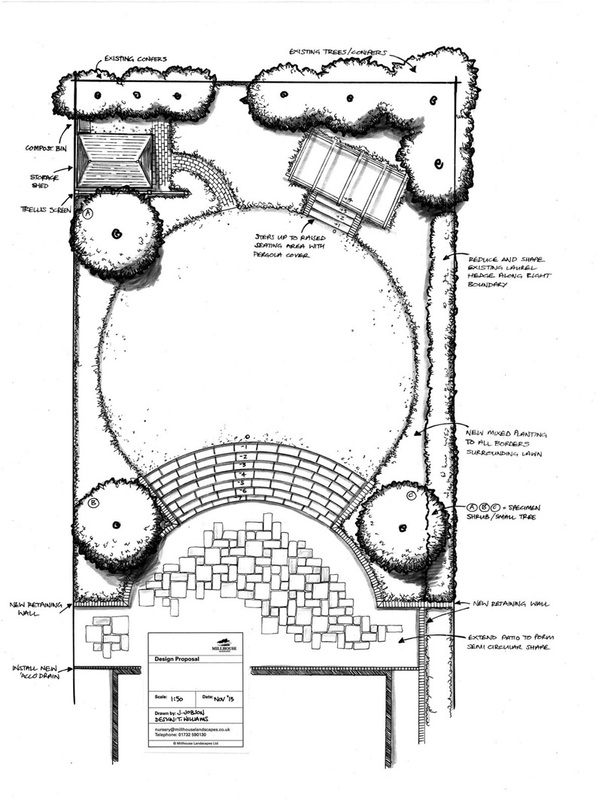 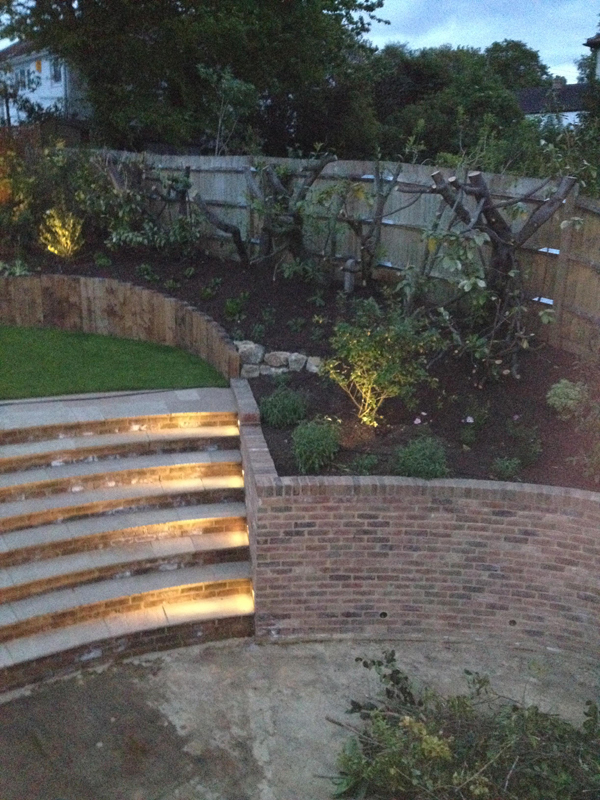 As you can see we have some great progress shots here from this Kent garden design. 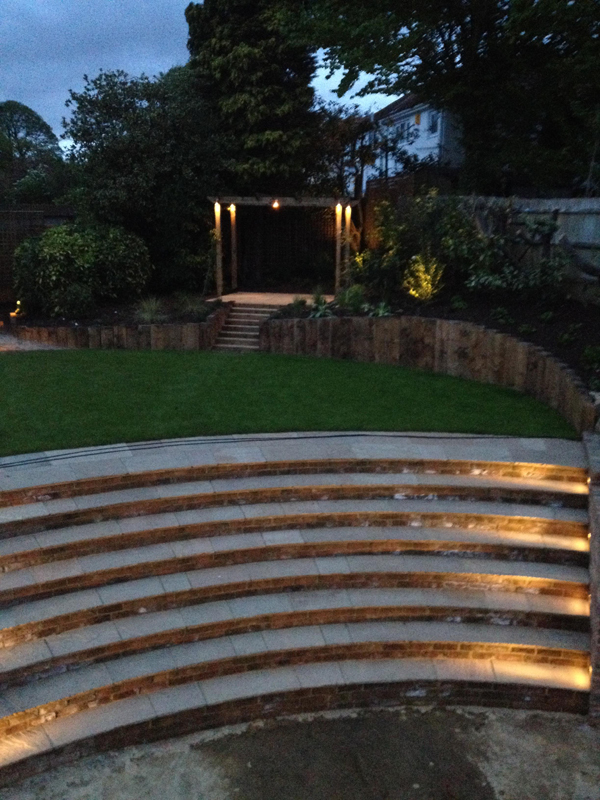 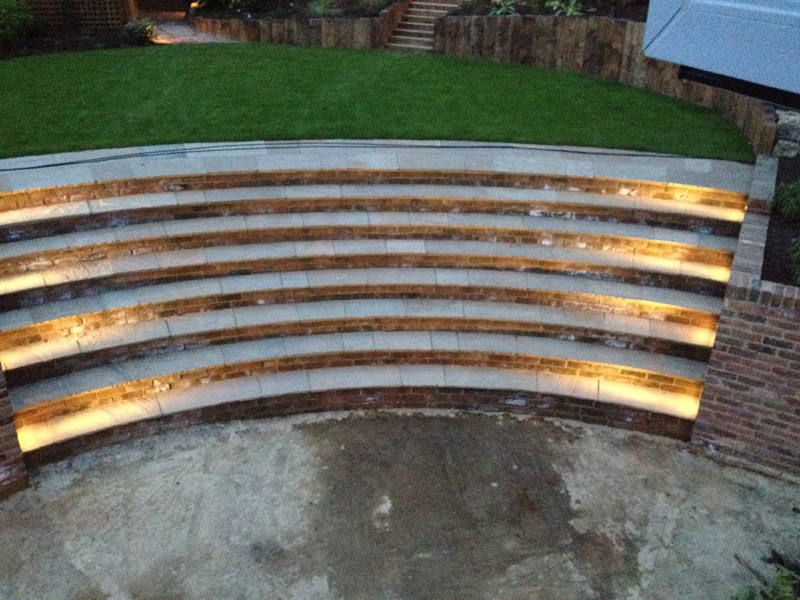 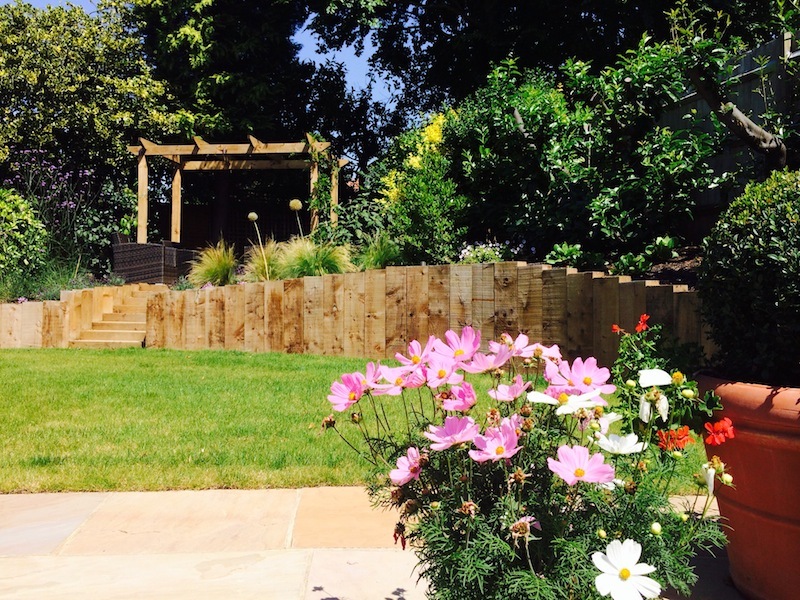 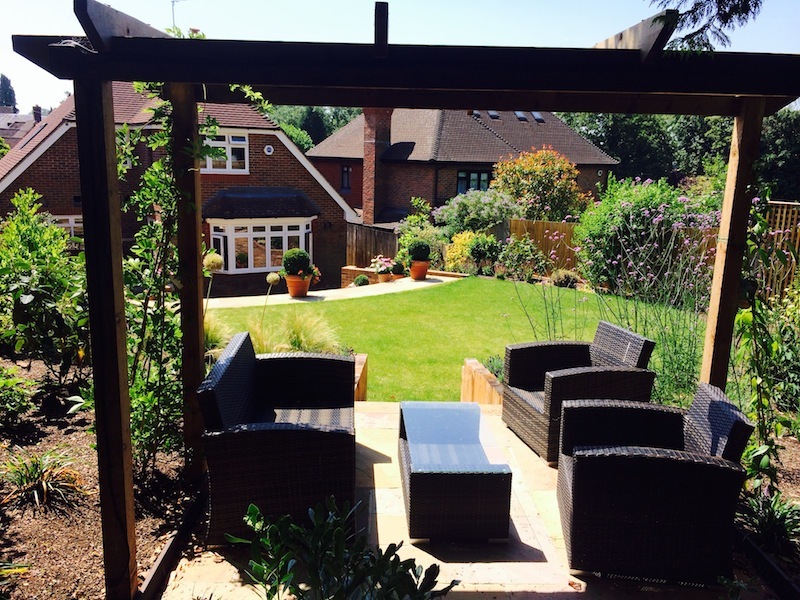 We have now finished up on this project so the client can then enjoy this newly designed garden ready for the Summer! 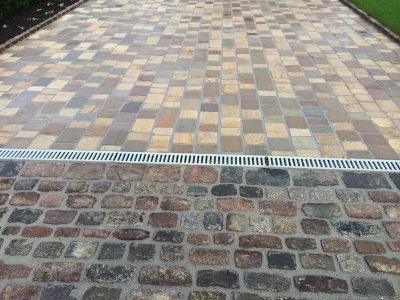 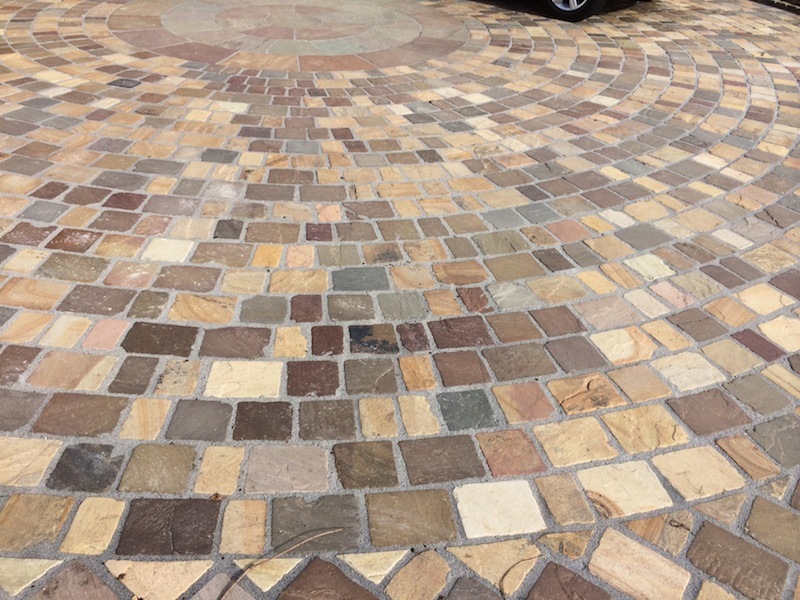 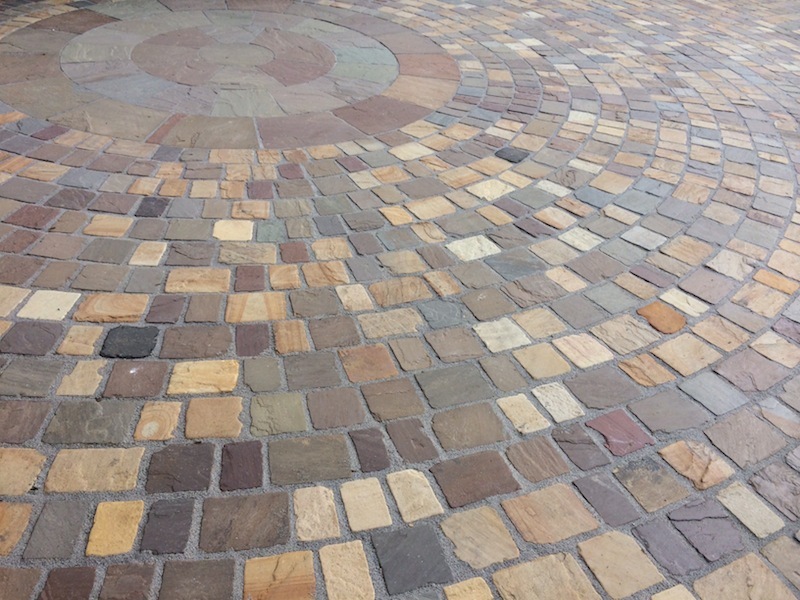 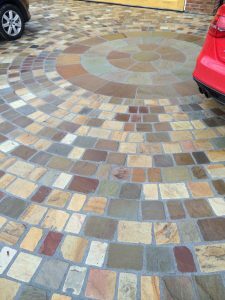 We have now just completed this stone driveway for the client, which they love. 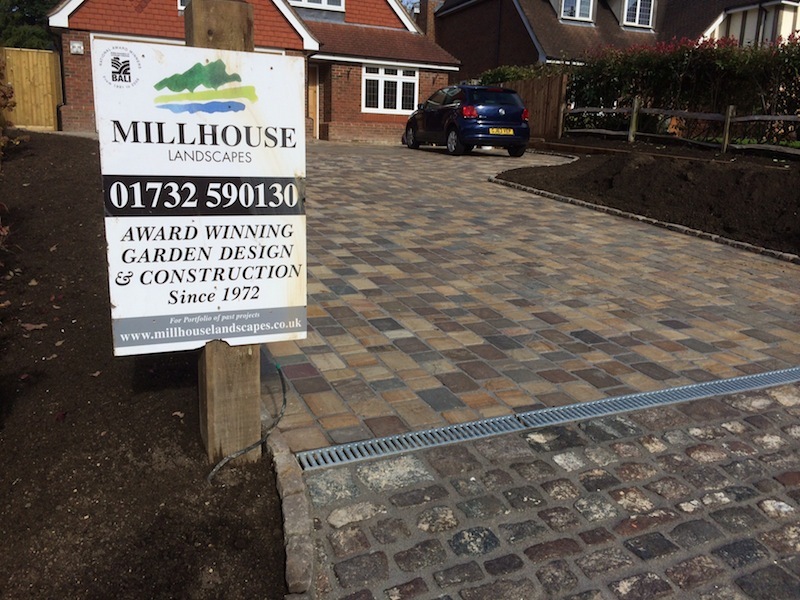 We started the driveway once we had completed the rear garden, as rule 101 of Garden design and construction is to work backwards! 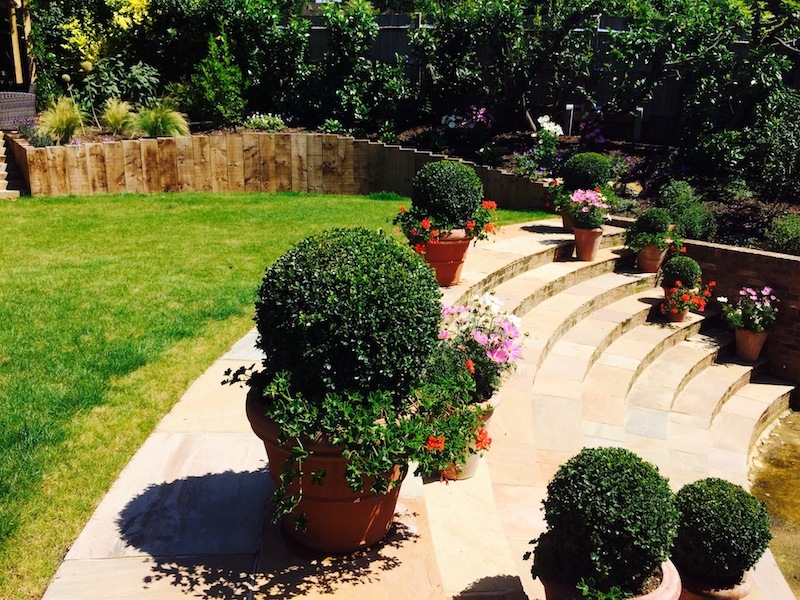 Get the back garden sorted first and work from there. 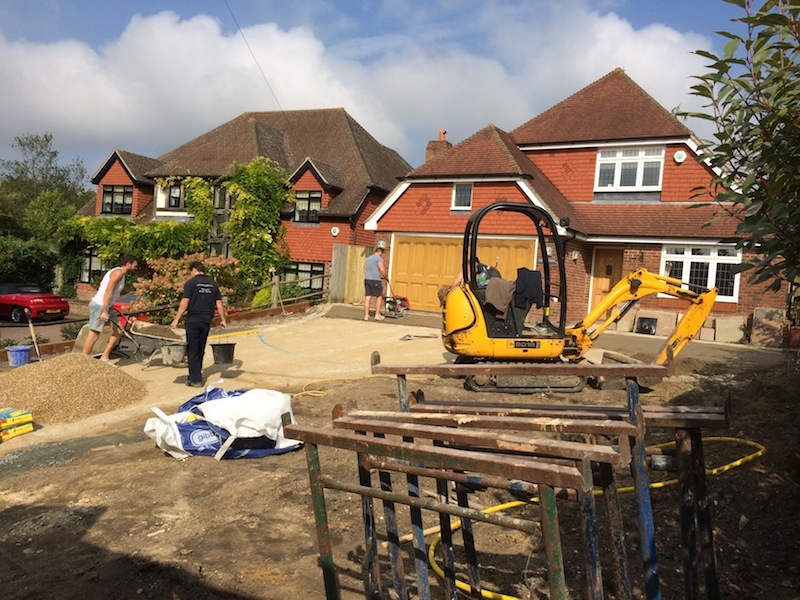 This basically means that if you have a nice new drive built and then decide to get the rear garden completed, a mess can be made of your new drive!